One of the most important parts of your horse's anatomy is his hooves. Without good feet, a horse is almost useless. Keeping hooves healthy must be a goal for all horse owners. There are some factors regarding hoof health and hoof growth that are beyond your control. Genetics affect your horse's feet. If you purchase a horse from parents with mealy, soft feet, the odds are excellent that you will get a horse with a similar problem. Some breeds are well known for superior hoof health. 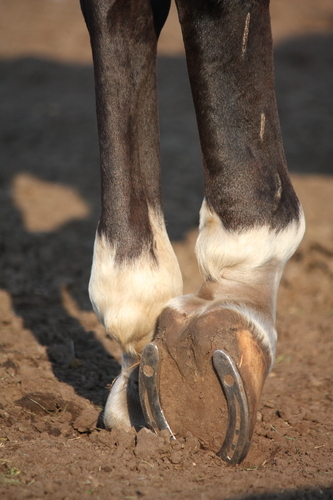 Just as certain breeds and lines are noted for athleticism or temperament, some are known for their particularly healthy hooves or for poor hooves. In general, Arabians have tough, good feet. Morgans tend to have hoof problems, such as laminitis. In reality, you may not know much about your horse's family tree when it comes to feet, so you have to work with the hooves you have. If you are dealing with a horse that has problems with its feet, even with treatment it can take a long time to see improvement in your horse's hoof growth. Hoof walls grow very slowly - figure one-quarter inch to almost half-an-inch per month. It could take months, to even a year, before you see dramatic improvement in hoof quality. The hoof wall grows down from the coronary band. Any injury or damage to the coronary band could slow hoof growth. The first step towards healthy hooves is good nutrition. If your horse is fed a balanced diet, complete with the necessary vitamins and minerals, its feet should be relatively healthy. Biotin and methionine are often supplemented in diets of horses that have slow hoof growth or hoof health issues. Many nutritionists encourage the use of supplements for a horse that has poor hoof growth. Recommended supplements include zinc, calcium, protein (especially the amino acid methionine), and biotin. Zinc has to be added carefully and should be balanced with copper, calcium, and methionine to have any good effect. Calcium works in tandem with phosphorus, so you need the correct ratio there as well. You should consult with your veterinarian and /or a nutritionist before you add any zinc or calcium to your horse's rations. Hoof is actually keratin, which is a protein similar to hair. So if your horse is protein-deprived, his hooves will suffer. Keratin is also about four percent sulphur. Methionine, an amino acid which contains sulphur and is a component of some proteins, is required to produce good-quality keratin. Lysine is another important amino acid that helps with hoof growth. Both of these amino acids can be found in legume hays. Biotin is a B vitamin that helps with hoof growth. It is a water soluble vitamin, so it is not stored in your horse's body and has to be renewed daily. Horses produce a small amount of biotin naturally, but most of this vitamin must come from diet. 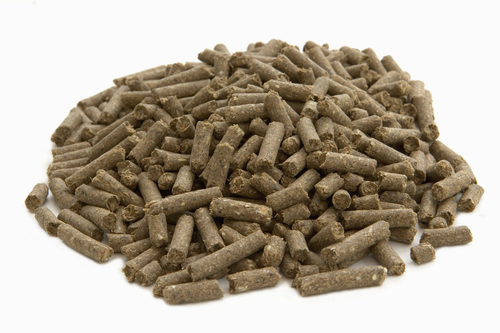 High-grain diets may leave a horse slightly deficient in biotin. 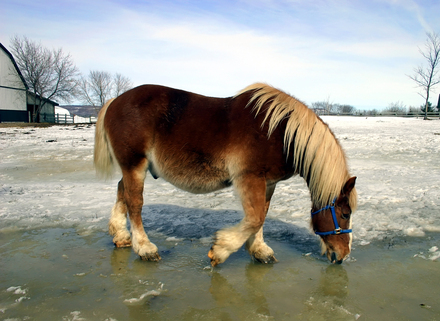 Studies have shown that providing supplementary biotin can help some horses with poor feet. 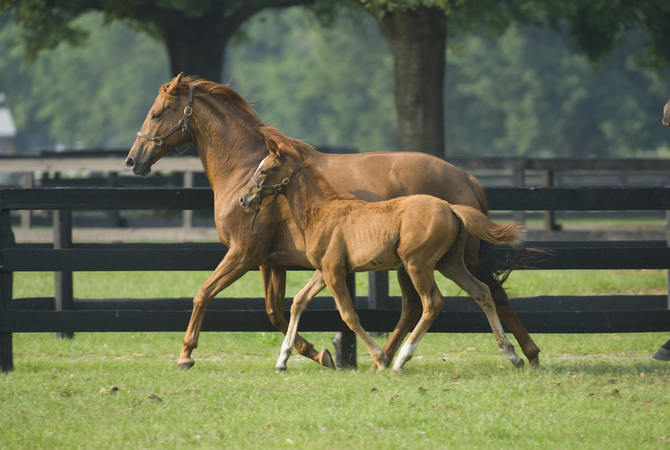 Equine nutritionist Dr. Julia Getty, PhD, author of "Feed Your Horse Like A Horse," emphasizes the importance of providing the appropriate amount of biotin: "Too little biotin in a horse's diet can lead to soft 'white lines' with hooves that crumble or crack. About 20 mg per dose of supplement is appropriate for most equines." Some horses also benefit from an addition of omega-3 fatty acids to their diet. This is generally given in the form of flaxseed. It is important that you look at all the supplements your horse may be getting along with his diet to be sure nutrients are in balance. A horse eating plenty of fresh grass may not need the supplements, but a horse living on grass hay most likely will. As Steve Kraus, head of the Farrier Service at Cornell University's Large Animal Clinic points out, "There are also environmental factors that will affect hoof growth. Horse hooves tend to grow faster with increasing daylight." 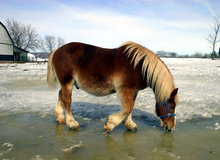 So while your horse's hooves may seem to stop growing over the winter months, that growth rate will increase during spring and summer months. Dry, wet? Rocky, soft? Cold, hot? Summer, winter? Environmental factors affect hoof growth and condition all year. The amount of moisture your horse's feet are exposed to can also influence growth. If conditions are too wet, hooves will get soft and become prone to sole abscesses and fungal infections. If there is too little moisture, hooves may get dry and brittle. Try to keep stalls clean and provide mud-free areas for your horse in turnout areas. Kraus emphasizes that proper circulation is also important for hoof growth. If your horse's feet are properly trimmed and/or shod, the foot will land in a balanced way. Kraus notes, "This provides better circulation for the entire foot and encourages good hoof growth. A poor trim will hinder hoof growth." The bottom line - for the best hoof growth, feed your horse a good diet, supplement only if needed and after consulting with your veterinarian and /or a nutritionist, maintain your horse's environment, and have a good relationship with your farrier.